Letter to the Editor – Transparency in government – do we have it or not?! Due to personal circumstances (and a tussle with a ‘bug’ that seemed to take a fancy to my body), this blogpost is a couple of weeks late. Therefore, it is worth more as a “retrospective” than anything else. Apologies for the delay. The verdict is in; the people have spoken; ‘Old Blue‘ has been retained as our current flag. Just over 1.2 million voters cast their ballot to retain the existing flag. That is 68,502 votes more than National party vote share (1,131,501) in the last election. If ‘Old Blue‘ was a political party, it could probably govern in it’s own right, without the second-rate hangers-on that National relies on to remain in power. And a fair few simply liked the current ‘Old Blue‘, full stop. The high cost of the referendum rankled with many – especially as early childhood education budget cuts and Pharmac’s inability to fund new cancer drugs, was not lost on many people. The only real surprise was that the numbers voting to retain the current flag was only 56.6%. Previous public opinion polling had indicated that between 61% and 65% opposed change. Even as recently as a few weeks ago, a UMR Poll showed 59% opting to support the status quo. One of the most trenchant criticisms of the flag referendum process is the contradiction of Key’s government returning New Zealand to British Knighthoods. Discussion of wider aspects of nationhood such as becoming a republic and electing our own Head of State were also muted. So much for “independent national identity”. On TV3’s The Nation, on 26 March, Lisa Owen interviewed our esteemed Dear Leader, John Key. His face was studiously calm and seemingly unperturbed by what was obviously a rejection of his beloved silver fern flag reform. Key’s tax-payer funded media minders had earned their salaries and trained him well. Oh, of course, not Dear Leader. You had no preference at all, right? These images below – they are images of your evil duplicate, from a Parallel Universe, right? It was noticeable that Key had no lapel pin on his jacket-breast in the interview with Lisa Owen (nor on TVNZ’s Q+A, the following Sunday). Even after the people had spoken in a referendum promoted by him and his government, he could not bring himself to wear the mandated flag of our nation. Indeed, Dear Leader; let’s get behind our flag. And you can start by wearing it on your lapel. “It is not even a failure to persuade because Key did not campaign heavily for change. If anything, he failed to campaign strongly enough. Young’s assertion that “Key did not campaign heavily for change” beggars belief. As the two images above show – along with other evidence easily available on the ‘net – Key was one of the prime movers to replace the current flag. Young would have to have been living in a snow-cave in Antarctica; in a bathysphere at the bottom of the Marianas Trench; or a moonbase on the Dark Side of the Moon, not to have noticed Key’s cheerleading for the Kyle Lockwood flag. Which illustrates Young’s lack of knowledge on the referendum voting patterns (as well as over-looking the fact the entire process had been politicised when Key took a personal position on which flag he supported). In the last election, National scored 58.39% of the Party Vote and 65.17% Electorate Vote. So For Audrey Young to whine about Labour and the Greens not towing the official Government Party Line on this issue is childish finger-pointing and blame-gaming. Perhaps she should take it up with National’s own supporters. After all, in National-held Invercargill, the vote was a staggering 60% to retain ‘Old Blue’. I doubt if that far-south electorate is a secret Labour and Green stronghold and hotbed of left-wing, anti-government activity. And where did Key’s support go in his own electorate? 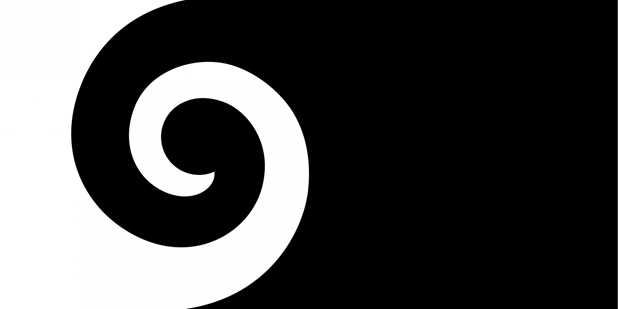 “To those who didn’t like the design of the silver fern alternative, it was the public’s choice. To those who didn’t like any of the five finalists in the first referendum, they were the Flag Consideration’s Panel’s Choice. To those who wanted Red Peak among the finalists, Key and the Green Party got it added and shut them up. To those who did not want a referendum at all, did they want a choose imposed on them? To those who thought it was a waste of money, it is not what they were saying in 2013 on the referendum for state asset sales for which the Government had received a clear mandate at the 2011 election. It seems fairly obvious where Young stands on the flag referendum. She brooks no dissent; no contrary opinion; and certainly does not respect the will of the people. For example, her ridiculous notion that “to those who didn’t like the design of the silver fern alternative, it was the public’s choice” – is arrant rubbish. The Kyle Lockwood option on the ballot paper was one of four decided by the Flag Selection committee. Of the four options, a silver fern was bound to win. The public had few real choices in the matter. To those who fume at the referendum result, get over it! Key got his referendum. He simply did not get the result he wanted. Audrey Young insults voters with her whiney little tanty. This time – unlike the referendum on State Assets which he thumbed his nose at – he cannot ignore the Will of the People. Not unless he wants to lose the 2017 election, and probably the next one or two after that. And try remembering which is which when it comes to Indonesia and Poland! Changing a flag because it bears a similarity to another nation’s emblem does not – on the face of it – seem a necessity when so many others are striking in their sameness. Quite the contrary, if any two nations on the face of this little planet have a reason to share a similar design – it is Australia and New Zealand. After all, we have a similar pattern of colonisation; shared history, language, culture, values, economy, and we laud our ANZAC tradition. To an outsider, there is little appreciable difference between Australians and New Zealanders (except we don’t have an accent). Why shouldn’t our flags be similar as well? The flag referendum, unlike it’s more successful predecessor, the firefighters’ referendum in 1995, and the anti-asset sales referendum in 2012, was not a grass-roots movement by the people. It was handed down, from on-high, and by golly the government would demand that we vote on this matter. People did not want the referendum, and the cost – at a time of cuts to many social services and lack of funding for new anti-cancer drugs – rankled with many. But vote we did. Over two million New Zealanders. But so that a flag change would not be carried by a minority who were either Key-sycophants, or disliked our current flag sufficiently to vote for change, regardless of dirty political manipulations at play. And we sent a clear message to the National government as clearly as a certain little yellow mini did, thirtyfive years ago. The message, in case anyone missed it: stop fart-arsing around! If New Zealand is going to embrace change and adopt a new flag, it must actually mean something. It must mean a new start to building our own nationhood. Otherwise, any flag-change – without meaningful change to back it – simply becomes a re-branding exercise. Which is precisely what our esteemed Dear Leader seems to have had in mind; a re-brand rather than a republic. It was no coincidence that Key’s own preference was for the Silver Fern – a commercialised brand symbol on everything from the All Blacks to Air New Zealand. This was a re-branding exercise for NZ Inc, and many (if not most) people saw through it. John Key’s seeming lack of understanding the meaning of real nation-building (see: “A matter of National identity” above) doomed his pet project from the start. John Key is not the right person to effect this kind of sea-change in our country’s destiny. He never was. Other matters to consider: 4 – Where were Maori, our Treaty partners? During this entire exercise, very little – if any – inclusion of Maori culture made it to the final five designs. It is like they never existed. Instead, the final offerings to the public were Pakeha notions of flag-design. Perhaps it explains why the Maori electorates voted to retain ‘Old Blue‘. For them, it would be “change” that was no change at all. Sticking with the current flag, albeit with elements of musket-enforced British colonialism, was little different to alternatives on offer. In this matter, the Flag Consideration panel was an abject failure, tainted with mono-culturalism. Key “get’s Behind our flag” – by ignoring it! What is on his lapel? Nothing. That is how Key “gets behind our flag”. Rich irony indeed; the Establishment’s figurehead complains that people were distracted from a referendum that many considered a distraction in the first place. NZ Herald: How did New Zealand vote? Bowalley Road: Was Class The Decisive Factor In Determining The Flag Referendum’s Outcome? Pundit: God Save the Flag vs God Defend the Flag? This blogpost was first published on The Daily Blog on 6 April 2016.